Melissa is a United States Military Academy at West Point graduate and entered the field of law as a second career, after being an Army Officer and an engineer at Consolidated Edison Company of New York. 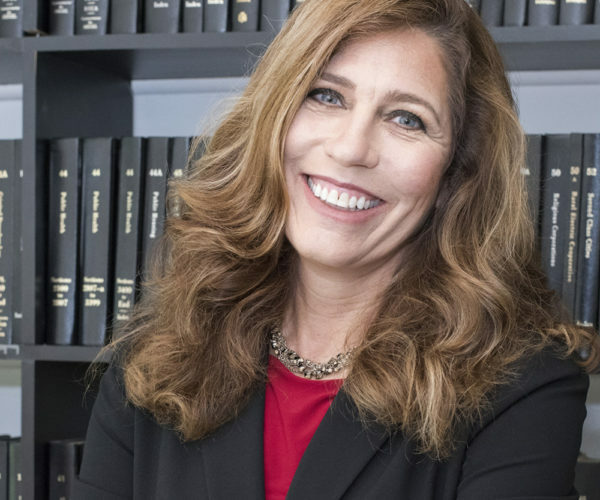 Melissa came to Lazar & Schwartz to practice Family Law after employment at Legal Services of the Hudson Valley where she represented victims of domestic violence in family matters. The decision to enter into the arena of Family Law was one that came naturally to Melissa. Having worked in supervisory capacities with soldiers and mechanics, it became obvious to her that the ability to separate work and family was only possible when there was no crisis in the family. When a crisis occurred, such as a loss of a loved one or a separation or divorce, the worker’s ability to function was compromised. Melissa recognizes that in order to assist the client through this process with the least impact on the family and work, the attorney must address all of the needs of the client, providing resources and possible solutions, while keeping in mind the cost of the process, both financial and emotional. Melissa came to this firm, finding a workplace that shares this same philosophy. The most difficult and agonizing divorces typically have a custody component. A satisfactory resolution of this issue is paramount to most clients, recognizing that divorce greatly impacts children. Melissa attempts to resolve custody issues with agreements, rather than litigation; however, many times this is not possible. It is then that Melissa will work diligently with the client to ensure that the children and client’s interests are recognized by the Court. Melissa lives in Beacon, New York with her husband, having raised four children there.